Dear fellow foodies, I thought it’s time for me to give all of you a quick headup on what’s happening in Adelaide in the food event sector. The Big Issue has launched the lunch menu for this year’s “The Big Lunch” event. 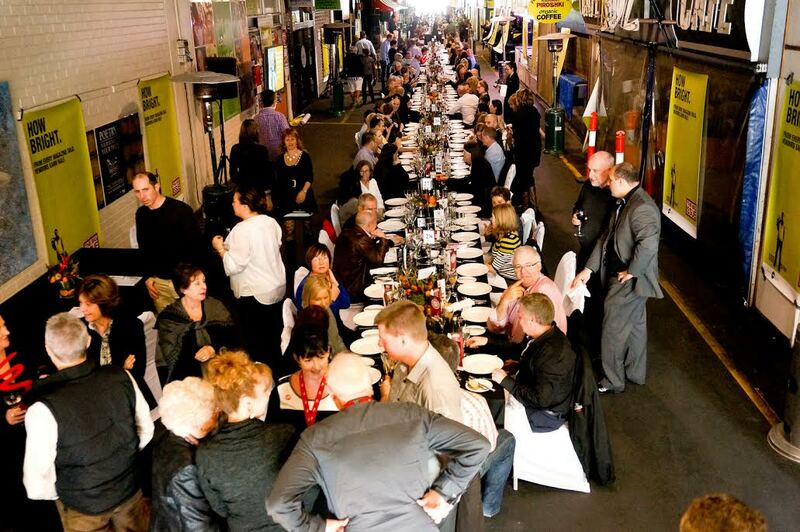 The main aim of the event is to raise money for the homeless and disadvantaged South Aussies on the lunch day. Now in its fourth year, the Big Lunch has been supported by local celebrity chefs, including Simon Bryant and Callum Hann. I started to be aware of the event from 2012 and it looks genuinely a event for a good cause. The lunch will take place in our world famous Central Market on 27 July and can serve 300 guests with strong local food focus. 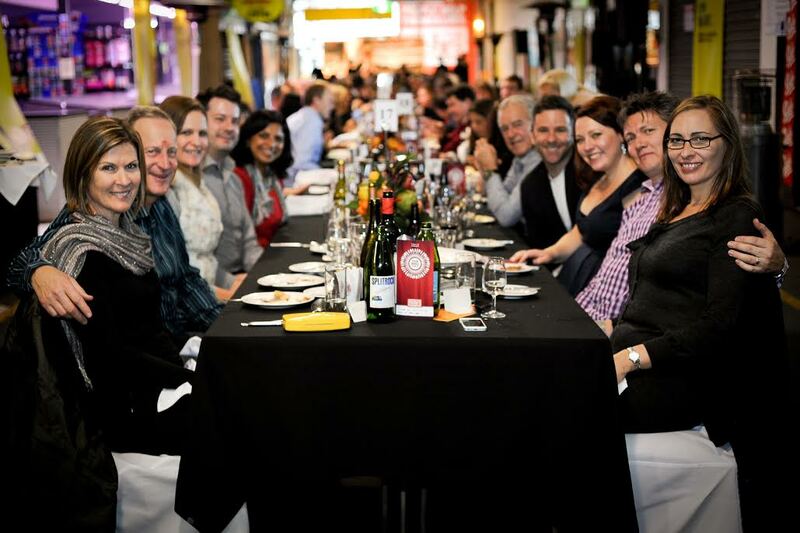 The ingredients used are sourced from South Australia while this year, the lunch is to be prepared by the team from Hilton Adelaide, led by the executive chef, Lloyd Cremer and will feature a recipe from Maggie Beer. 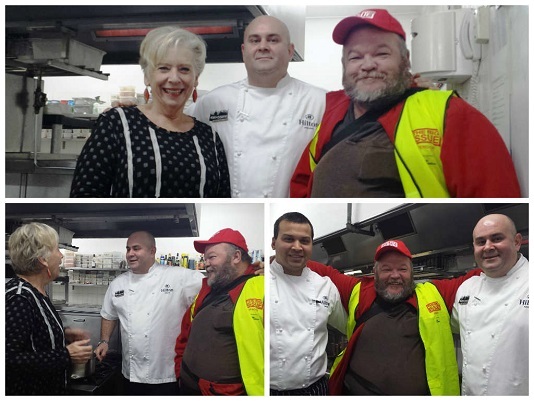 She handed the recipe personally to executive chef, Lloyd Cremer and executive sous chef, Brent Assam last week at Hilton Adelaide along with a Big Issue vendor, Brian. Many homeless and disadvantaged South Australians have obtained assistance through the not for profit organisation by distributing and selling the fortnightly street magazine, The Big Issue. There are currently around 50 The Big Issue vendors in South Australia with over 500 vendors nationally. Now, let’s have a look at the menu. The menu focus on modern Australian cuisine with local ingredients. It features four courses with a Chacuterie dish, entree, main and dessert. If you are a fan of Maggie Beer as me, you may want to experience the Maggie Beer’s slow cooked lamb shoulder with preserved lemon to see the difference yourself. The menu caters almost all dietary requirements, from dairy and meat to seafood and vegan dishes. If you are interested in helping local disadvantaged people while enjoying a scrumptious Sunday lunch with strong local focus, why not book yourself or a group of friends in for the event? The details of the Big Lunch including price and booking are listed below, but be QUICK as ticket sales are high! If you can’t make it, watch out for a post to come after the lunch as I will do a post with review and live-tweet at the lunch. Whenever I see these people in street, I always support! Wish you a good time at the lunch. Good on ya! 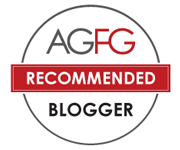 I love reading website and blogs who support welfare. Good articles indeed. Only until today, I see what these people are doing. I met many of them in Rundle mall and the city many times previously. I will definitely help next time.